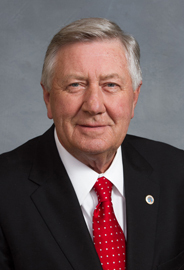 Three Democrats in the NC House have announced their intentions of voting for the Republican voter photo ID bill, which was being debated this afternoon in the NC House. The Republicans have their majorities for voting in this example of voter suppression without Democratic help, which makes these three not so much icing on the Republican cake as dog poo on the Republican shoe. One of the three, Bill Brisson, was one-fifth of the Original Five Goobers, Democrats who voted with the Republicans to override Gov. Bev Perdue's veto of the Republican budget in 2011. The other two of the All New Three Goobers, Ken Goodman and Paul Tine, have volunteered themselves as totally superfluous cheerleaders for voter disenfranchisement, which their own constituents can contemplate during that time when they're fumbling for the Proper Papers while trying to vote. We Love the Smell of Litigation in the Morning! Please, Lobbyists, Buy This Man a Drink! Andrew Cox, in The Appalachian. NC GOP: "Bad for Business"